Rent Sheraton Wild Horse Pass Resort and Spa | Corporate Events | Wedding Locations, Event Spaces and Party Venues. 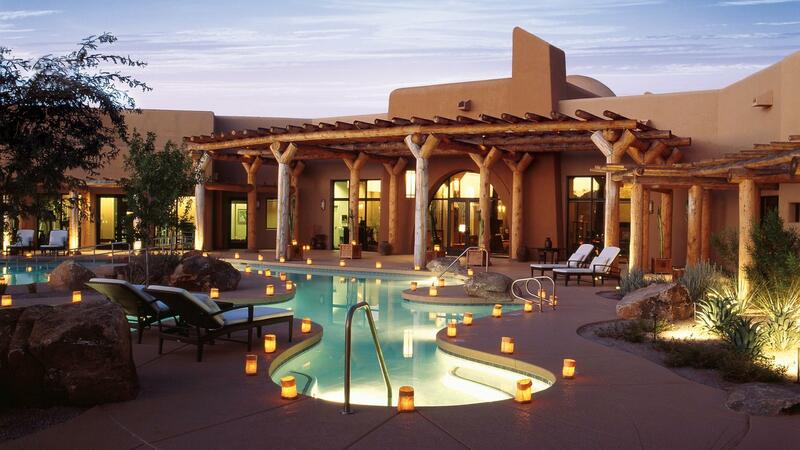 Discover the cultural heritage of an iconic Phoenix luxury resort.Find yourself a world away at Sheraton Wild Horse Pass Resort & Spa, Arizona’s premier Native American owned luxury Phoenix resort. Designed to be an authentic representation of the Gila River Indian Community's heritage and culture. ~ 3 picturesque outdoor ceremony sites. Spacious ballrooms for receptions. 500 beautifully appointed guestrooms. ~ Whirlwind Golf Club ~~ featuring two 18-hole Troon Golf-managed courses. ~ Aji Spa ~~ full-service spa with 17 treatment rooms and a salon perfect for pampering our brides & bridesmaids! Designed to inspire, our Chandler meeting space is named after Sonoran Desert animals, local mountain ranges and feature earth tones and cultural designs. Our two main ballrooms offer 17,000 square feet and 15,000 square feet of flexible space with ample foyer space. In addition, our Junior Ballroom is 7,200 square feet. Nineteen breakout rooms in all offer a variety of Chandler meeting and seating options. Offering a blend of skill and creative talent, our catering staff excels in designing menus for groups of all sizes. We can help our guests create an event tailored to their needs and interests, with touches of our regional cuisine and flavor. The Komatke Ballroom can accommodate over 1,000 guests theater-style and is also divisible into smaller venues. The Komatke offers adjacent pre-function areas, ideal for welcome receptions or cocktails. Our uncovered outdoor space offers ample shade and can accommodate events ranging from intimate dinners of 20 guests up to large events for as many as 1,000.